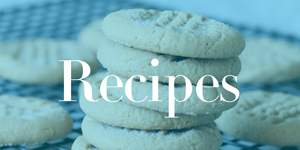 Home / Savings Blog Posts / Recipes / Easy Dessert Recipes / Homemade Cracker Jacks Recipe! Here is an awesome Snack Recipe or Dessert Recipe to keep close by! Check out this Homemade Cracker Jacks Recipe! If you love Cracker Jacks, this Homemade Cracker Jacks Recipe is for you! Plus, your whole family can enjoy this recipe for a Family Movie Night or Holiday Party! If you are attending a cookout or 4th of July Party then this could also be a great recipe to take with you that your friends, family, and kids of all ages will love! This is also a great recipe for Teacher’s Gifts or Christmas parties! You could also have this as a party favor for one of your kids’ birthday parties! The options are endless! Go ahead and print this recipe, or Pin it for later!! If you need an Air Popper Machine, here is one by Great Northern Popcorn for only $19.88, down from $39.95! Receive Free Shipping with Amazon Prime, or Free Super Saver Shipping on orders of $35 or more! I am a big fan of flavored popcorn, and my kids love it too! Be sure to check out this Snickers Moose Much Recipe for another great popcorn recipe!